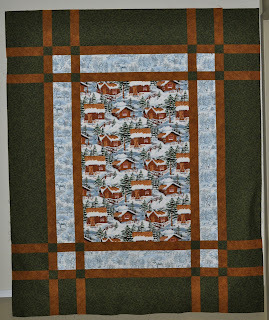 This entry was posted in flimsy, lap quilt, prairie window by Norma Hanson. Bookmark the permalink. 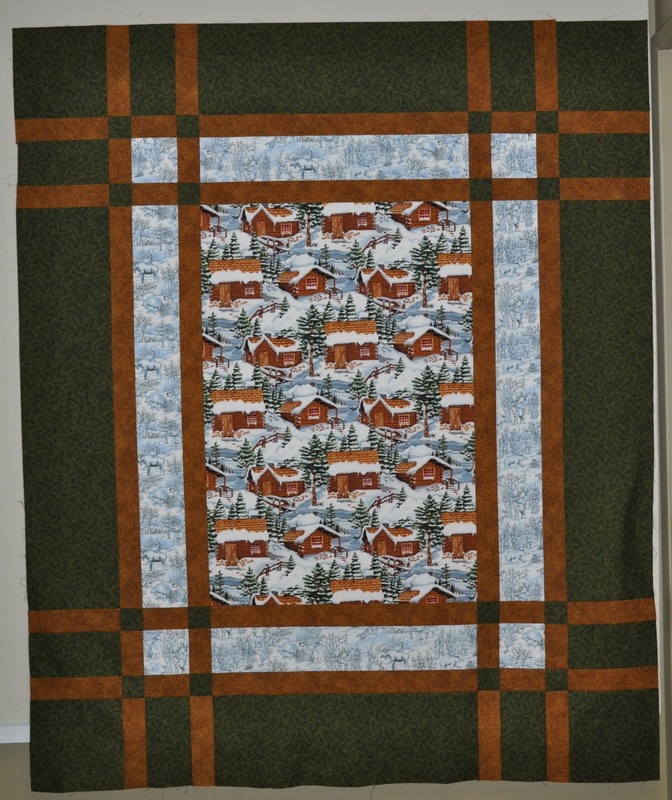 I love this one—the rusty red brown is so striking and just made for the winter cabin print. The gray blue looks a lot like winter sky too. Well done and such a good way to reward yourself after all the long arming that was sucking up a good bit of your time early in the month.